And guns kill people. Of course, the tenet of the National Rifle Association (NRA) is that guns don’t kill people, people kill people. Of course, the NRA has enemies of their own. But people who kill are very often holding guns. In fact, though violent crime overall has dropped slightly, the number of times a gun was used in the commission of these crimes remains high–23 percent of aggravated assaults, 41 percent of robberies, and 68 percent of murders last year involved firearms. “The nineties have become the most prone to firearm use in history,” the FBI’s 1995 Uniform Crime Report ominously warned. Who needs to buy all of these weapons? If you’re like most law abiding citizens, you’ve never really stopped to think about it. Gun collectors? Okay. Security firms? Fine. But who else needs to go into a store to purchase ten, 20, 50, or more handguns at a time? Gunrunners, crime experts say, who resell them to criminals, gangs, and teenagers. Stopping this illegal trade has become the focus of gun-control advocates who have rallied behind a new idea–and a new proposed law. It began with the name “one handgun a month,” and has been rechristened “Twelve Is Enough.” but whatever the name, the principle is the same: No one should be able to buy more than one handgun a month. Virginia and Maryland have recently passed such laws. (South Carolina has had one for 20 years, but it is the weakest of the three.) And now the debate over the need for a federal law is raging in Congress. “Gunrunners have turned Interstate 95 into a firearm freeway,” says Congressman Charles E. Schumer (D-NY), who has introduced the “Twelve Is Enough Anti-Gun-running Act” in the House with Congressman Tom Campbell (R-CA). Campbell believes that the legislation “is in the interest of public safety and, therefore, a reasonable restriction of the Second Amendment’s right to bear arms.” A similar bill has been introduced by Frank Lautenberg (D-NJ) in the Senate. Will such a law really make a difference? The precedent is Virginia. Before passing its law, Virginia topped a list of a dozen or so states considered the worst offenders as sources for handgun trafficking. But a study by the Center to Prevent Handgun Violence (CPHV) published in the Journal of the American Medical Association last June reported that three years after the law went into effect, guns recovered in crimes in the Northeast and traced back to Virginia declined by 66 percent. That means it’s nearly off the list of offenders, because CPHV doesn’t consider the remaining states to be problems. Backers of the national bill believe the same kind of results coast to coast would greatly reduce multigun purchases, and, therefore, the illegal interstate market. They drove her to a gun store. She filled out the Brady Law form. Because she had no criminal record, she was cleared to make a purchase–and proceeded to buy nine guns. Police tracked her down after one of the guns, recovered in a shooting in New York City, was traced to her. “As long as it is easy to walk into a gun store and buy several handguns at once, then lining up straw purchasers will be the safest and easiest way for criminals to get their guns,” says Robert Walker, CPHV acting president. Why don’t gun dealers get suspicious when they sell multiple guns for thousands of dollars in cash? Sometimes they do, but in the 47 states without one-handgun-a-month laws, dealers have no obligation to report the sale at the state level. The Brady Law does require that they send a form to local police, but it must be destroyed after 20 days. 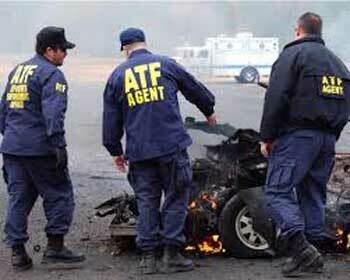 And they also must notify the Bureau of Alcohol, Tobacco and Firearms (BATF). The bureau, however, has limited powers and a broad array of duties–from tracking alcohol sales to monitoring tobacco production to issuing licenses to gun dealers. An overburdened agency, the BATF is able to investigate very few multiple-purchase sales. The NRA’s opposition cannot be taken lightly. Their lobbying budget for 1994 to 1996–$3,200,000 to Sarah Brady’s Handgun Control, Inc.’s $325,000–has stopped other gun-control bills dead in their tracks before. What’s more, there’s actually a countermovement afoot. Congressman Cliff Stearns (R-FL) not only rejects the idea that limiting guns will lower crime but actually believes the opposite: that if more people carried guns–legally–violence would go down. The theory, as explained by John R. Lott, Jr., a University of Chicago Law School professor in an editorial in The Wall Street Journal, is that “the very fact that these weapons are concealed keeps criminals uncertain as to whether a potential victim will be able to defend himself with lethal force. The possibility that anyone might be carrying a gun makes attacking everyone less attractive….” Stearns has introduced a bill that would allow citizens from states where concealed weapons are permitted to carry them into any other state. But there are many more aspects of handgun ownership that are not regulated by federal law and, therefore, vary from state to state. * Despite a federal ban on possession of guns by juveniles, 13 states have less restrictive or no corresponding law, which means that a juvenile has to be tried in federal court, and is not prosecuted at the state level In the 37 states that do have prosecution laws, the toughest, Massachusetts, imposes a six-month mandatory sentence; the rest require five days or less. »What Is The Best Online Backup for Mac?